Things You Must Consider When Choosing A Beauty Salon - Beauty salon is one of the favorite places for women today. Changing the hair appearances or just relaxing while pampering the body are some reasons for women to go to the beauty salon/spa. By doing treatments which are served by beauty salon, a person's appearance becomes more good-looking. But not all salons fit a person's personality because of several factors. The salon services might not be consistent or the salon staffs do not even have the required skills to make someone’s look more attractive than ever. The flourishing beauty industry that is in great demand has made people have many options in choosing a beauty salon. Choosing the right beauty salon with careful consideration is a must so that you will never be dissapointed. Someone might begin to be confused of how to choose the right salon, especially for women. The mistakes in chooing a beauty salon preference lead to endless disappointments. Worsely, your appearance will not get any better. Of course, you don’t want such calamity happen to you, right? Not only that, your favourite salon may not always be able to make your look better consistently. It will not hurt, to try a new salon that might be more suitable than your previously favourite beauty salon. Undeniably, some people who are getting disappointed with their preferred salon have difficulty in finding another beauty salons. The unreasonable costs, bad services, and undiserable results are the 3 main reasons we often hear when the customers are expressing their disappointment at a beauty salon. Here are 6 tips on finding the right beauty salon so that you can avoid all those bad things happen. Recommendations or references are so essential to choosing the right salon. Gather as much information as you can about the salon’s reputation you want to go to. You can start asking relatives, friends or even searching on salon social networking sites or accounts. Do not forget, reading the testimonials from their customers is also important. Are they satisfied or not about the salon services. Or just the opposite? The salon gets many complaints and is blacklisted from some of their customers. The more information you get the better. You can also ask somebody for recommendations of other good beauty salons which suit your needs. 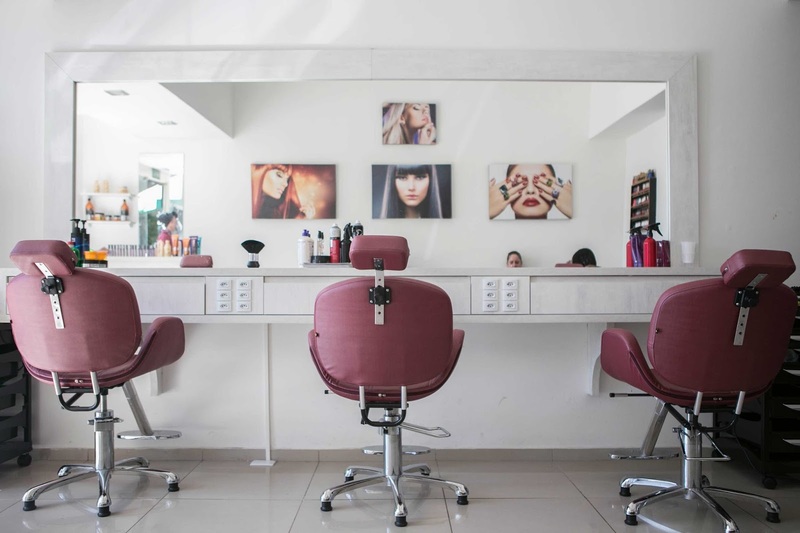 Salon cleanliness is one of the main factors that becomes customers’ considerations. Good beauty salons certainly pay great attention to the cleanliness of the space and the tools used for their customers. Of course, you don’t want to go to a salon that is dusty and dirty with its scissors and comb that have never been washed and fumigated after use. Such conditions are a means of spreading viruses and bacterial diseases. On the other hand, an ideal salon should provide hygienic tools, clean and dry towels, and healthy ambience that make the customers feel comfortable. Just imagine, if the salon where you want to visit is dirty, smelly, and the used tools never get cleaned? Do you still want to go to that salon and do some treatments? Of course not. However, salon hygiene is something you should also take into foremost consideration. Products and promotions offered by the salon also become one of its own charm. Especially for you a woman, of course very happy with any kind of promotions. Free beauty treatments at the salon or maybe discounted prices are no exceptions . By making use of such offerings, you can frugally save your money. In addition, the salon that is often promoting itself and following the currently latest trends, usually have many kind of services or updated products innovations that customers should try. So, if you come to the salon, you might be given the latest offerings that make your appearance more up to date. As a consumer, certainly do not want to entrust the treatments of your hair, face or body to someone who is not expert in the field, is not it? Professional salon staffs also become one of the considerations for consumers to choose the right salon. Especially, by looking the hairstylist or hairdresser they have. Hairstylist who has a good reputation, can be a plus. You also will not be afraid of caring for your hair, face, or even body. Moreover, the hairstylist who is friendly and nice to talk to will make customers feel convenient. The salon staffs, especially a hairstylist should be able to communicate well. With good communication and attitude, surely, the hairstylist can profoundly comprehend what client need. And, you will get the desirable results. Maybe you often hear this phrase, “there is a price, there is quality”. For today, something expensive is not necessarily good. So is the opposite. Something cheap is not necessarily bad. Right now, there are many new beauty salons opening and competing with the existing salons. That surely make the competition more tight than before. A lot of beauty salons begin to promote its services on a regular basis. If not, the salon that never do marketing will be less competitive with other salons. In other words, you can take advantage of the promotions offered by the salon. With that, you do not need to spend your money too much just to change your appearance or do some treatments in a salon. And, do not forget getting sufficient references from people around as well, so you get the maximum results at an efficient price. Before you try the salon you want to go, there is no harm in trying to contact the salon and ask what kind of products they use. It is good to prefer salon that uses quality-quaranteed products having been certified by the government. So, you don’t need to worry about their safety.